VPS ON WEDOS service is built on OpenNebula(ON) cloud infrastructure. This technology allows us very effectively distribute and redistribute the performance of server resources, as result the physical server is not overloaded and also it's ensure easy migration of your VPS in case of any technical or hardware problems. No more buying of modules where you have to pay for an unused HDD, if you need more RAM, for example. We offer you to choose which parameters you want and pay for them. If you're running out of VPS performance, you just upgrade your VPS up to your requirements. Upgrade is possible at any time. Decrease from next billing period (HDD can not be reduced). Do you need large computing power without a large disk? Not a problem! Purchase dedicated CPU performance and only 1GB of SSD and RAM. Do you want a large disk for fast backup? So get one shared thread, 1 GB of RAM and 480 GB of SSD. Or do you just want a tiny VPS to perform a regular exercise? What about 1 shared thread, 1 GB of RAM and 1 GB of SSD for just a few coins per month? * Sharing is calculated so that servers are loaded on average at 50%. The processors are also very powerful. In addition, our solution automatically divides the VPS, depending on the load. If the parameters are not enough, check out our WEDOS Cloud offer (coming soon). If you need an IPv4 address for the VPS traffic, then get the first one for 1 CZK, every other is for 100 CZK/month (available now). IPv6 is up to 65 thousand for free (range /64). If you need faster connectivity? Not a problem. You will be able to order 1 Gbps connectivity. For service, you can order a backup, including a possible backup to another location. As soon as we finish the second datacenter, we will offer high-availability services. Everything will work live from two datacenters, and in the case of a failure of one datacenter everything will be automatically run from the second datacenter. Do you need a large space without speed requirements with a low price? Not a problem. You will have the option to select another disk. Likewise, you can choose SSD solutions with very affordable prices or even extremely cheap disks ... You have to look forward to. Do you want a secure server? Do you need to restrict access from just one IP address or from one country or continent? Not a problem. Likewise, you can disable something similar in the same way. We have a special IDS / IPS protection solution that protects your sites online in real time from attacking your system and detects most of the known security vulnerabilities and prevents them from being exploited. Our services have many times been the target of DDoS attacks, so we can deal with them. We have our own solution for detecting and filtering traffic. The 150 Mbps attack is filtered, and the server should have primarily clean traffic. We can solve attacks in tens of Gbps and soon in hunderds Gbps. Buying WEDOS VPS ON you do not only have a VPS, but a professional desktop service at a private datacenter on branded expensive hardware with nonstop support 24/7. We have gained a lot of experience with VPS in 7 years.We have operated over 13,000 of them and today we are the largest provider of these services in the Czech Republic. We know what our customers need. Powerful brand servers are not enough for this today. That's why we decided to build our new VPS on OpenNebula cloud technology. According to competitive solutions, it gives us exactly what we need. Cloud infrastructure gives us, for example, the migration of your VPS between servers without losing PING. So for us there is no downtime for maintenance.If we need to fix or update something, we simply move you to another server without losing PING. But that's not all. If a fatal hardware failure occurs, your VPS will be restarted on another server within 45 seconds. That options could be provided only on a real cloud solution. Hewlett Packard Enterprise (HPE) has created Moonshot server for large cloud solutions. This is a "box" that provides a complete background (connectivity of 2 x 10 Gbps for each razor - server, power ...) for 45 servers. 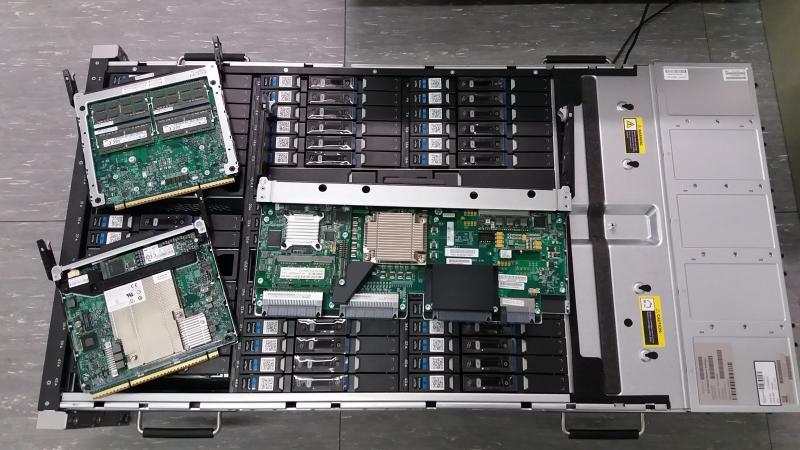 The HPE Moonshot in the rack occupies only 4 and 1/3 U. It is connected to 8 x 40 Gbps, so we do not have the problem to provide dedicated connectivity up to 1 Gbps. Individual servers (blades) are equipped with a 3.0 GHz CPU overclocking up to 3.8 GHz, 32-64 gigabytes of RAM and a high performance highly 4 x 1T fast drives SSD NVMe. 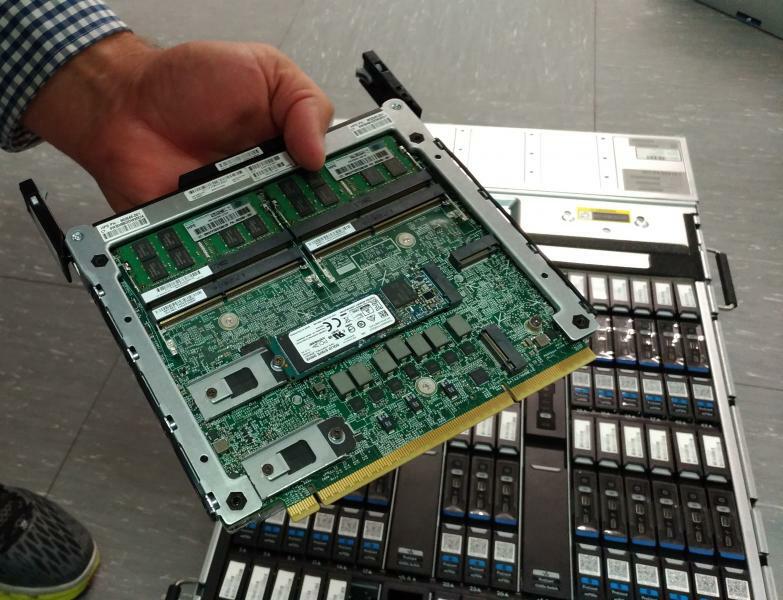 Overall, one HPE Moonshot provides 45 3.0 GHz CPU processors, 2880 GB RAM, 45-180 TB VRAM SSD. And all within one "box" that weighs over 100 Kg. WEDOS Internet, a.s. has its own private datacenter in Hluboka nad Vltavou, where are currently located over 1000 of our physical servers. We are the largest provider of shared webhosting in our country. About every 6th .cz domain is set to our servers. Bunker datacenter, was rebuilt within our requirements from a civil defense shelter. It was located in a strategic location including the distribution of optical network. Now we have available 3x 100 Gbps connectivities. We are currently building the second Datacentum Podskalí for which we have applied for TIER IV certification. As soon as it will be finished, we'll start offering services from two locations. We will gradually add answers to your questions about the new service. Mentioned prices are without VAT.